Beneficiaries of trusts may be concerned when a trustee delays selling an asset that should be sold. It is important to act quickly to prevent further harm. When a trust administration begins, an inventory of the trust’s assets must be prepared. This list must be updated following certain triggering events. The way to administer a trust depends largely on the type of trust you are working with. Pooled trusts are a type of special needs trust with unique features. Personal representatives must complete an Inventory and Appraisal form as part of the probate process. The mechanics of the process require attention to detail. What should I do if there are very little assets left in the California trust that I am administering? At times during a trust administration in San Diego, the assets of the trust may dwindle to the point where there is very little left. Trust administration also involves certain costs, which means that continuing to administer the trust may not make financial sense. I am taking care of our father’s succession. How do I deal with his motor vehicles? Under California probate law, if you are the personal representative of the estate, you may transfer the vehicles to their new owners without having to wait until the estate is closed. Identifying the assets of a trust is one of the most important duties a trustee has. Failing to do so can expose the trustee to potential liability. 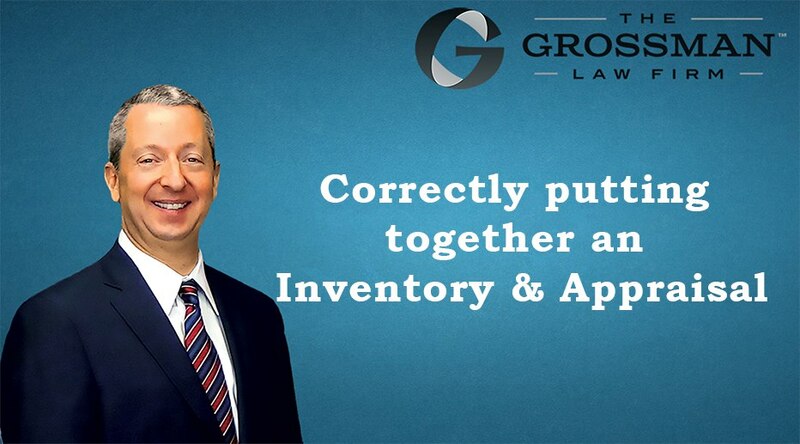 An inventory & appraisal is mandatory and must be put together correctly and filed in every California probate.